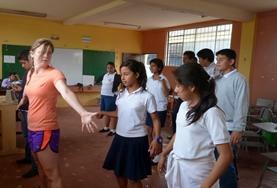 Projects Abroad volunteers interested in Creative & Performing Arts projects can work in Latin America and the Caribbean. Volunteers bring music, dance, and drama into the school systems to help children learn new skills, discover their abilities, and at times as a form of therapy. As a volunteer you will provide a safe and encouraging environment for the children. Volunteers on a Creative & Performing Arts project in Latin America & the Caribbean promote a variety of arts among young people to help them through difficulties and nurture their abilities. Volunteers work with the guidance of local supervisors and are encouraged to bring in new ideas for activities. With energy, creativity, and an open mind, volunteers and children alike of all skill levels can learn immensely together. 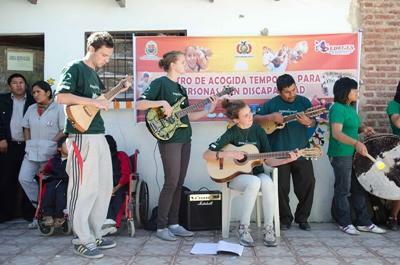 Have fun and help with the development of children by teaching music at a local school or a center for the visually impaired in Cochabamba. 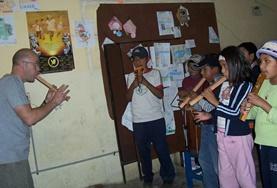 This project uses a blend of traditional and western music to provide a positive outlet for children. Help young people develop their talents and become more aware of the opportunities in a range of artistic areas, such as art, drama, music, and dance. 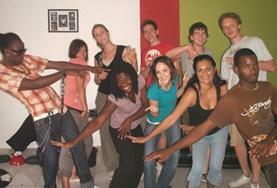 Share your knowledge and enthusiasm for music on our music project in Jamaica. The project focuses on teaching children and teenagers music appreciation and how to play musical instruments including the keyboard, guitar, violin, flute, and drums.